EcoHub sells the best natural health, wellness & organic lifestyle appliances. 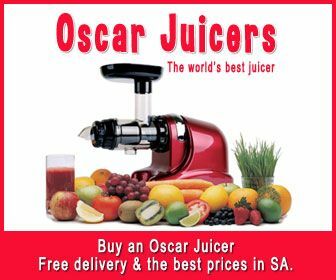 We sell Oscar Juicers including the Oscar DA900 and DA1000. Oscar Juicers receive great reviews and are rated as some of the best masticating juicers in the world. We also sell Hurom and Omega Juicers. Our health appliance range include the amazing Vitamix super blender. Nutritionists agree that the Vitamix is the world's best blender. We also stock Ezidri and Excalibur dehydrators. We're busy working on expanding our range of eco-friendly products and will be updating our website shortly. We deliver anywhere in South Africa, free of charge.